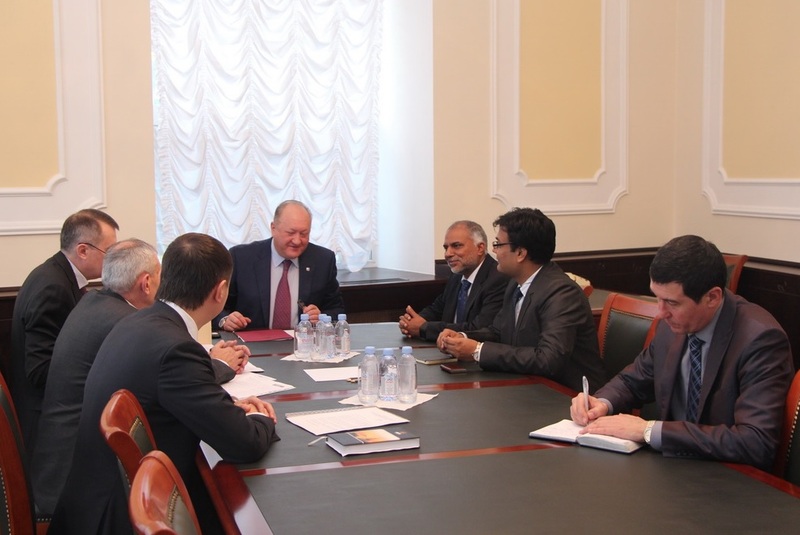 Kamchatka Governor Vladimir Ilyukhin (C) met senior executives from TATA Power on Jan. 24 in Moscow. An agreement is likely to be signed at the end of February. Indian electric utility company Tata Power is interested in developing the Krutogorovskaya coal deposit in the Russian Far Eastern region of Kamchatka, regional authorities said on Jan. 25. A cooperation agreement to the effect may be signed at an investment forum in Sochi on Feb. 26-28, the Kamchatka government said in a press note. Senior executives from Tata Power met Kamchatka Governor Vladimir Ilyukhin in Moscow on Jan. 24 to discuss the proposal, according to the press note. Ilyukhin said Tata Power would like the coal deposit to be classified as a priority project so that it can get Russian state support. A road map for the implementation of the project will be created in the near future, the Kamchatka Governor said. Ilyukhin added that the region would benefit from Tata’s investment in transport infrastructure, as well as from the jobs that the project creates. Tata would build port facilities near the mine and develop transport logistics, he said. The Krutogorovskaya coal deposit is believed to be the biggest in Kamchatka and has estimated reserves of about 260,000 tonnes.